The camera that I take my lovely sock photos with is dying a slow death. It’s close to fifteen years old, so I suppose it was to be expected. Old cameras never die; they just don’t get the big picture. And the big picture is that I need a new camera. Now, Hubs is a camera buff. He knows what all the numbers and abbreviations mean, but shutter speed makes me shudder. Optical and digital zoom, aperture, macro, f-stop … why does a camera need GPS and Wifi? So it can text me its location? “ISO” confused. So many features to think about. Like cameras, Christmas can have features that are confusing and take thought. Happy Holiday or Merry Christmas? Present or gift card? Santa or Jesus or both? 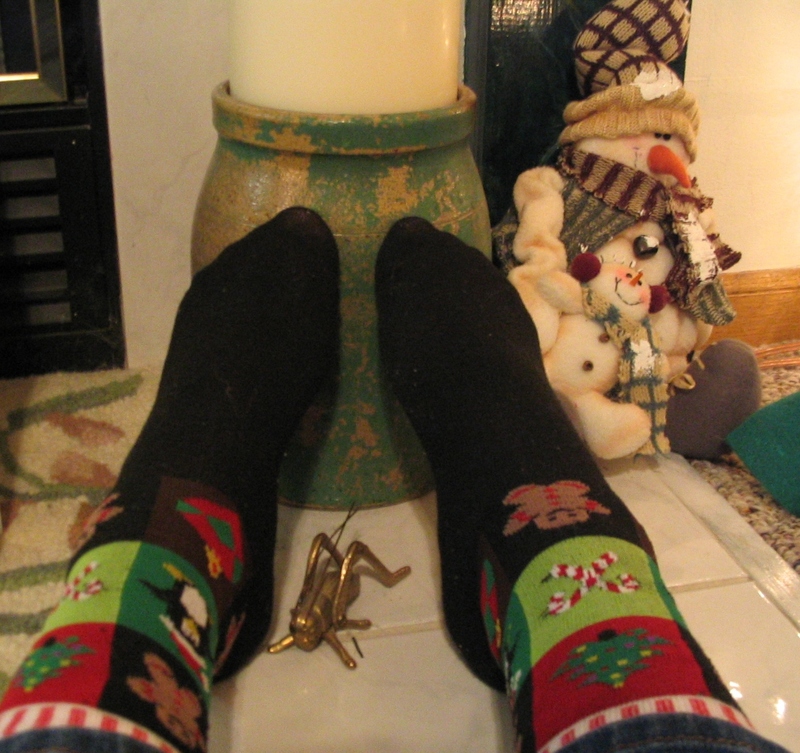 My socks are a hodge-podge of Christmas favorites, with ornaments, trees, candy canes, gingerbread men, and penguins, as if the sock maker couldn’t decide. Somehow, it all works together. Hubs will guide me through the decision making process to get the right camera for me. The one thing I’ve never been confused about is the baby in the manger. He’s picture perfect.